Exploring the science, emerging trends, and strategic foresight required for leading organizations through constant disruption, while producing breakthrough results. The Insigniam Executive Summit is for Insigniam clients, offering a rich atmosphere to hear fresh new ideas, elevate their leadership, network, think newly, and share in celebrating breakthrough results. The future is wrought with uncertainty. As we lead enterprises in the pursuit of breakthrough results amid some of the most turbulent and unpredictable times in history, the future becomes even more opaque. The 2019 Executive Summit features two renowned thinkers in their respective fields of Psychology/Neuroscience and Strategic Foresight. They will share their perspective and research around the mindsets, ideas, and foresight needed to succeed in the future. How can something as pervasive as neuroscience not be considered? How can we equip ourselves to look into the horizon to identify the next meaningful innovation? The 2019 Executive Summit seeks to answer these questions, and offer the opportunity to glean insights from your peers. Featuring: Martin E.P. Seligman, Ph.D. 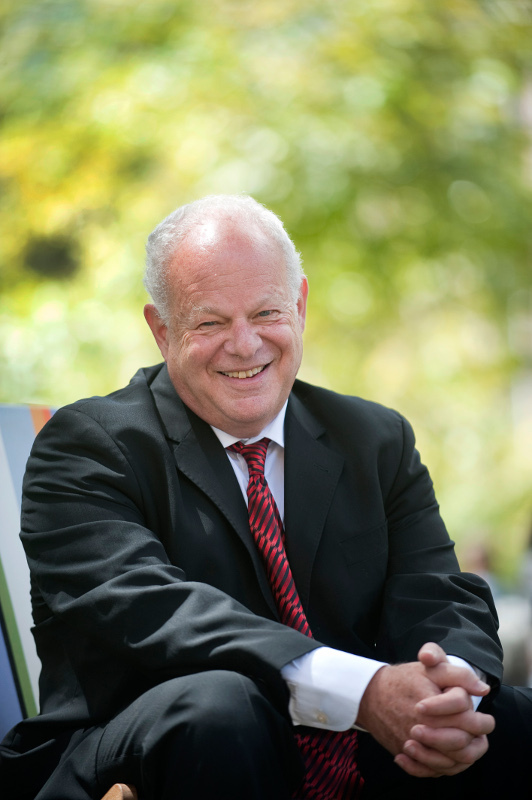 Commonly known as the founder of Positive Psychology, Martin Seligman is a leading authority in the fields of Positive Psychology, resilience, optimism, pessimism and a recognized authority on interventions that prevent depression, build strengths and elevate well-being.He has written more than 250 scholarly publications and 20 books. Dr. Seligman’s books have been translated into more than twenty languages and have been best sellers both in America and abroad. He is an avid bridge player and has won over 50 regional championships. Read more about Martin on his bio page, Positive Psychology Center. Professor of Strategic Foresight at NYU Stern School of Business, quantitative futurist, Founder of the Future Today Institute. Amy Webb is a quantitative futurist. She is a professor of strategic foresight at the NYU Stern School of Business and the Founder of the Future Today Institute, a leading foresight and strategy firm that helps leaders and their organizations prepare for complex futures. Founded in 2006, the Institute advises Fortune 500 and Global 1000 companies, government agencies, large nonprofits, universities and startups around the world. Amy was named to the Thinkers50 Radar list of the 30 management thinkers most likely to shape the future of how organizations are managed and led and has won the prestigious 2017 Thinkers50 RADAR Award. Amy’s special area of research is artificial intelligence, and she has advised three-star generals, White House leadership and CEOs of some of the world’s largest companies on the future of AI. Amy is the author of three books, including The Signals Are Talking: Why Today’s Fringe Is Tomorrow’sMainstream (PublicAffairs/ Hachette, December 2016), which explains how to forecast and manage technological change. It is a Washington Post bestseller, was selected as one of Fast Company’s Best Books of 2016, won a 2017 Gold Axiom Medal for the best book about business and technology and was one of Amazon’s best books 2016. Signals has been released in multiple international editions and has been translated into a number of languages. Her bestselling memoir Data, A Love Story (Dutton/ Penguin 2013) is about finding love via algorithms. Her upcoming book, The Big Nine: How The Tech Titans and Their ThinkingMachines Will Change Humanity—launches on March 5th, 2019 (PublicAffairs/ Hachette). It’s a call-to-arms about the broken nature of artificial intelligence, and the powerful corporations that are turning the human-machine relationship on its head. 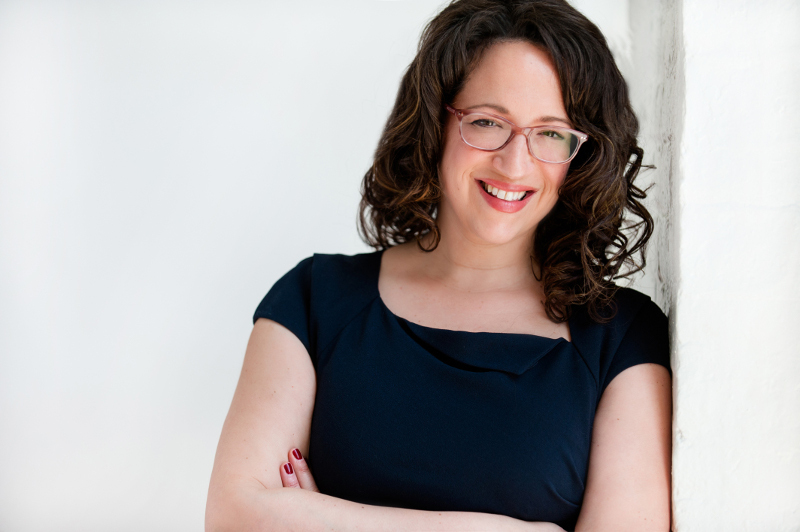 Read more about Amy on her bio page, AmyWebb.io. Click here to register!Check out the highlights from last year’s event! In this year’s summit, we will explore leadership thinking, behaviors and practices that are outside the familiar tenets of leadership that we have all repeatedly heard. We’ve all received plenty of training and development around leadership. This year, we’re going to look at the spaces and blind spots which we may have not sufficiently explored. A deep-dive discussion and Q&A session with Martin E.P. Seligman, Ph.D. about dealing with our mindset, positivity, and how that might be impacting your organization’s results. An exploration into emerging trends with Futurist, Amy Webb. What is the future of tech, and how to deploy strategic foresight to lead our enterprises? What is my mindset, really? How do I get some control over it? How is positivity, optimism, and pessimism a driver, or a hindrance, on my success. What role does psychology play in my organization’s results? What is the next futuristic trend that could disrupt my industry? The intent of the 2019 Insigniam Executive Summit is to give the clients of Insigniam and their colleagues a forum in which to share and discuss their experiences, learn more about themselves and why they operate the way they do, and how to make a meaningful impact in elevating their organization’s results. The discussions will be run so attendees can incorporate insights gleaned from actual experiences among high performers across a variety of disciplines and industries, and to create actionable common elements for generating breakthrough results. We have a room block available at the property below. The special rate is available until April 19, 2019. Located in the heart of the University of Pennsylvania campus, The Inn at Penn is a modern Philadelphia hotel ideally located eight miles away from the Philadelphia International Airport. Inducted to the TripAdvisor Hall of Fame in 2018, the 245 room property has achieved the AAA Four Diamond Award every year since 2002, earned the ‘Loved by Guests’ Award by Hotels.com in 2017, and honored with the Hilton Award of Excellence in 2013/2014. The Insigniam Executive Summit will be held in The Inn at Penn’s newly renovated ballroom; hosting dinner the evening of June 3rd and breakfast and lunch on June 4th. To make hotel reservations at The Inn at Penn, please CLICK HERE.